The Chair takes part in the DAAD Project, the title of which is: The Housing Markets of Southern Europe in the face of the crisis. 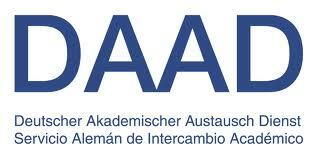 The Chair’s participation in the project consists of some of its researchers attending and taking part in the seminar that will be held in the German city of Görlitz from the 1st to the 5th of December 2013, and which will culminate in the publication of a book in 2014. The main subject of this project focuses, as its title suggests, on the housing markets of Southern Europe, which are those of: Portugal, Spain, Italy, Greece and Cyprus. These are countries where the housing market is at the epicentre of the economic and financial crisis, partly due to the cutbacks in the public budget for all sectors (among them the housing sector). Furthermore, these are countries that have similar housing policies, with common structures and features, which justifies a joint and case-by-case analysis. The fact that comparative research is carried out also allows us to reveal, identify and adopt good standard practice, thereby avoiding some of the mistakes made in the recent past. The basic question to answer is: in what ways are housing systems different in Southern Europe? We could use the systems in place in countries like Germany, France, the United Kingdom and the Netherlands as reference models. Essentially, the intention is to create an interdisciplinary and multinational research group that will carry out analyses of the above-mentioned issues, highlighting the housing policies in place in these countries and searching for and proposing solutions that can address the problems that have arisen in the housing market as a result of the crisis.